What does "Export Changesets" mean? A “changeset” in Fulcrum is a batch of edits to records (creates, updates, or deletes) that are grouped as a single activity within your Fulcrum account. 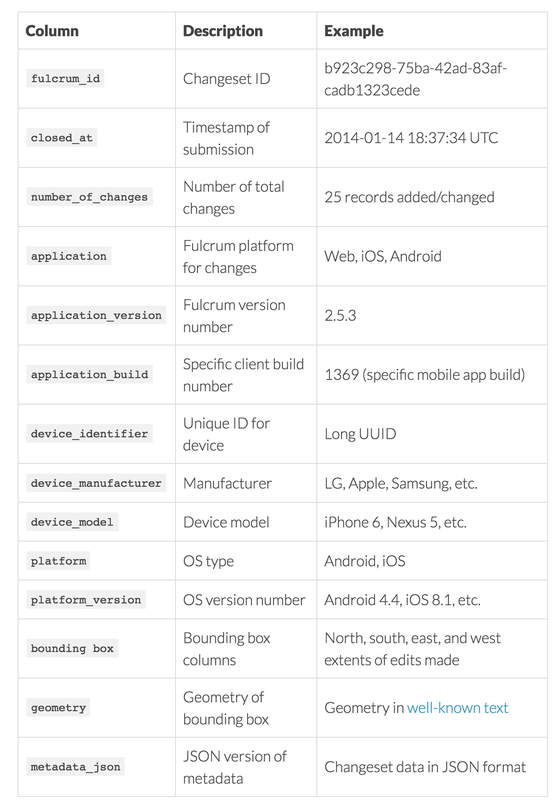 For example, if a mobile user is in the field and creates 3 new records and edits 5 existing records when that user syncs their device, Fulcrum will store that batch of edits as a changeset containing 8 activities (3 creates, 5 edits). Changesets can be helpful for troubleshooting activity over time from your field staff. They’re also used in several ways within the Fulcrum web interface for data management (e.g. the activity feed view).